This hotel is 100pct non-smoking. 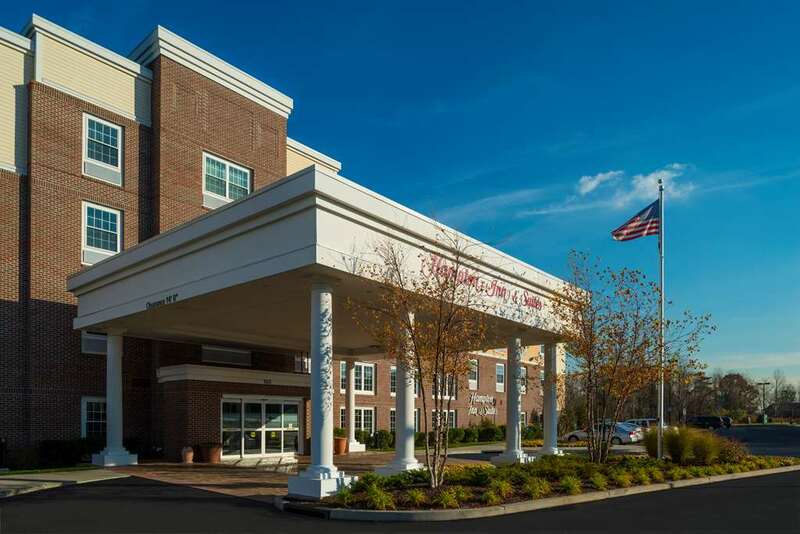 The Hampton Inn - Suites Yonkers has been designed to help you have the best experience possible while visiting the Yonkers Westchester County area. Our hotel is conveniently located off the Saw Mill River Parkway and only 2 miles from I-87 New York State as well as easy access to Downtown Yonkers Yonkers Raceway Empire City Casino Hudson River Museum Stew Leonard*s and the Ridge Hill Shopping Center. We*re also only a short distance to the Metro-North Station which offers a quick commute to New York City*s Grand Central Station. We want to be your home away from home and will assist you in any way we can. Start each day with a complimentary On the House hot breakfast and complimentary coffee and tea in the lobby. For guests in a hurry stop by the Guest Services Desk and pick up an On the Run Breakfast Bag weekdays beginning at 530 AM. Your guestroom is equipped with a coffee maker iron and ironing board hair dryer and free high-speed internet access. Come visit our Hampton Inn - Suites Yonkers during our Grand Opening and enjoy all of our amenities during your stay. A swimming pool fitness center business center and meeting space are available. After a long day of business or sightseeing relax and unwind by visiting our lounge located on the first floor near the front desk in our award winning Westchester hotel.